There are a couple of tips to make buying a mattress easier and we cover those in this review. You can buy a new mattress as simply as you shop for any other item at Macy’s with helpful staff, excellent selection and special offers. With all the hype about buying a mattress online and having it shipped in a box to your home via UPS, there is still something about going to the store and actually seeing the mattress before you buy. We think Macy’s makes the mattress buying experience a positive one and does it way better than the mattress-only retail chains. Wait for a One Day Sale at Macy's for the best savings! Macy's has over 70 different models to choose from and carries all the leading brands. Macy’s price matches, so if you find a lower advertised price, they will match it. They offer 12 month interest free financing if paid in full using your Macy’s credit card. You can often get a great buy. Macy's has great sales events nearly every month that you can take advantage of to purchase your new mattress at the best price. Macy’s also always offers huge savings during the holiday season? You can sign-up for Macy’s Black Friday Deals, Cyber Monday Deals and Christmas Gift Guide in advance if you want to be on the reminder list or checkout holiday deals during the season. 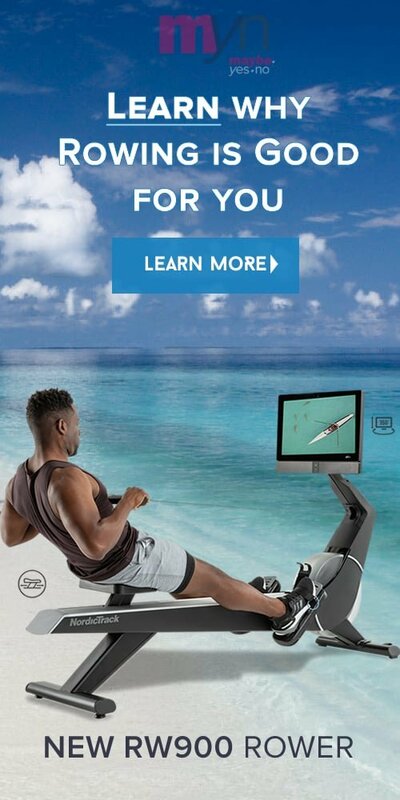 Recently discontinued in July 2018. However if you are a Plenti member Plenti points will accrue on qualifying Macy's purchases until March 15, and customers can redeem Plenti points on qualifying purchases at Macy's until May 3. After May 3, Plenti points earned with Macy's can be redeemed at the remaining Plenti partners. Getting married? You can add a mattress and bedding to your Wedding Registry. Delivery is free if the mattress is over $787, otherwise there is an $85 delivery fee. If you want your old mattress removed there is a $25 option to do so. The White Glove Delivery service will carry the mattress to your bedroom and set it up. Macy’s return policy varies depending on the model you select, so be sure to get the details. You will have between 60-120 days to return your mattress and the option of selecting a different model or opt to get a refund. A pick-up charge of $85 will be assessed as well as a 15% usage fee. Macy's offers free shipping on orders over $787 with set-up. You can purchase a 10 year mattress protection plan to keep your sleep surface clean. 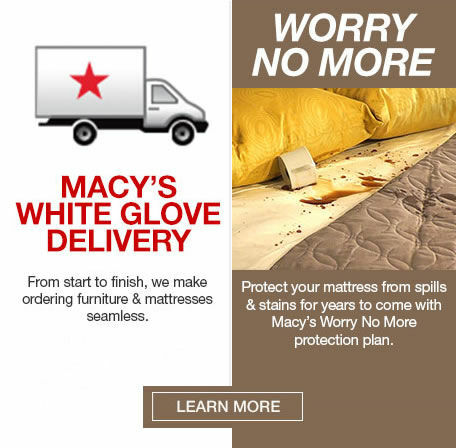 Macy’s offers a Worry No More 10 year protection plan covering any spills or stains that occur on the mattress. This has an additional fee option of $149 to $179 depending on the plan you choose and the model you buy. If you are concerned about stains, this may be a good option for you as they clean, repair or replace the mattress protection cover and / or mattress. We recommend purchasing a mattress at Macy’s because if you have any issues with your mattress after your delivery, they provide a good customer service experience. Because Macy’s knows you are a valuable customer and buy more than a mattress from them, they will be much more likely to assist you until you are satisfied than many of the mattress only retail chains. ──Be sure you fully understand the fees and timing of the return policy so you know what to expect. While the sales consultants will be helpful, you may not have positive chemistry with all of them, find one that you DO have chemistry with. Don't hesitate to come back another day to speak with a different sales person. Once you find one you like, get the days and hours they work so you can contact/visit them. THE MATTRESS DEPARTMENT AT MACY'S IS PRIVATE AND AWAY FROM HEAVY TRAFFIC SO YOU CAN RELAX AND TRY OUT THE MATTRESS COMFORTABLY. We also recommend Macy’s as a place to purchase a new mattress because you can try out the mattress at the store. Although the true test will be once you start sleeping on the mattress at home, it is nice to be able to see and feel the mattress before delivery. not be pushed into a decision. 2. Take a photo of sales sheet with pricing and model. Return home to research. make sure you have enough time not to be rushed. 5. Ask the sales team member helping you if there are any sales or promotions coming up or that he/she can apply now to close the sale. (be prepared to buy immediately once you ask this) If you don’t appear ready to buy you probably won’t get the best price. 6. Try not to let the sales person move you to a mattress that is not on your list. If he / she recommends another brand/model, you may want to leave for the day and do research on that model ── Don’t be pushed into a decision. DO A LITTLE HOMEWORK. A GOOD TIP BEFORE VISITING A STORE IS HAVE A SHORT LIST OF MATTRESS MODELS YOU WANT TO TRY OUT. 7. Be upfront with the sales person with what type of sleeper you are, what bed type you have and any concerns you have so they can assist you. receipt but just make sure you understand the timing and fees. 9. Negotiate a delivery day that work for you. The sales team at Macy’s will have been trained by the manufacturer so they are knowledgeable about the products. Ask questions, they will be happy to assist you. Your salesperson is important in case you have an issue so be sure to get their business card and days/hours they work. 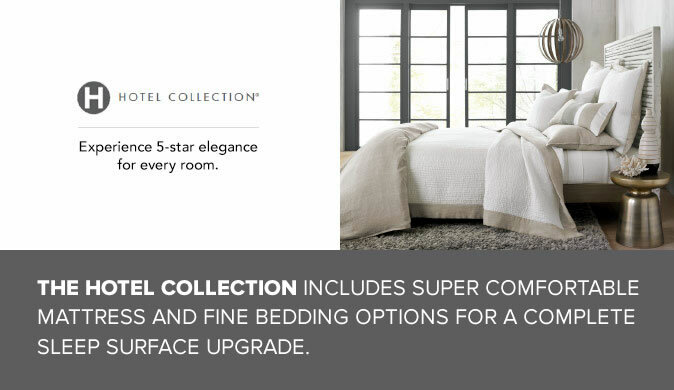 Your sales person will be able to introduce you to an expert to assist you with any bedding. You can buy toppers, pillows, sheets and blankets at the Macy’s bedding department. The mattress department at Macy’s is comfortable enviroment to try out the mattresses. They keep a good selection, so you will most likely be able to see the mattress you are thinking of purchasing. Who Should buy a mattress at Macy’s? Macy’s has done an excellent job in putting together an extensive range of mattresses to choose from and you will be able to find one in your budget. 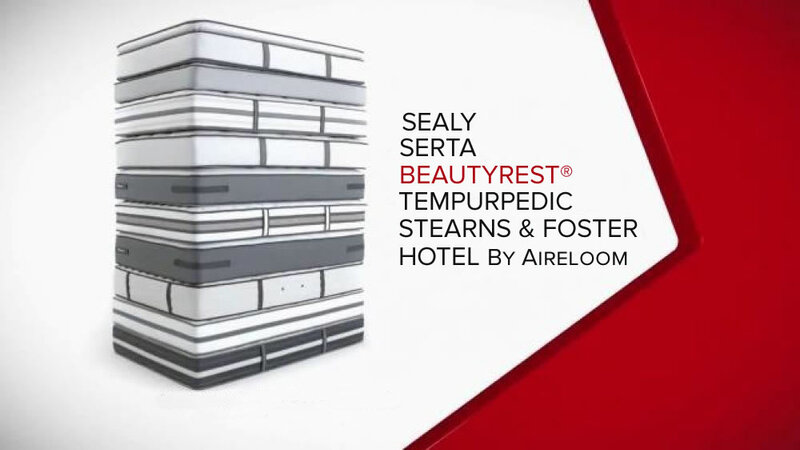 You will find luxury mattresses as well as models for guestrooms, new students or graduates. Macy’s offers price matching if you find a lower price. ─ The mattress area at Macy’s is often next to the bedding department. It is out of the way of heavy traffic so you can relax and try out mattresses in a comfortable environment. The sales team is well trained and very happy to answer any questions you may have. The pricing at Macy’s is competitive and they price match. One of the best reasons to buy a mattress at Macy’s is their huge selection of brands from lower priced companies to luxury brands. It is a great place to try out a Purple mattress or a Beautyrest Black model. You will also find lower cost alternatives. The right sales member will explain the differences between the models and brands. Macy’s is a recommended option by Maybe.yes.no for your mattresses purchase. The sales team can be a great resource for you because they are trained by the manufacturer. Just be sure to fully understand the return policy and fees so there are no surprises and find a sales person you connect or like working with.